*Place a bar, object, ect. or tape on a wall 6 inches above your reach. Jump and touch with both hands with every burpee. 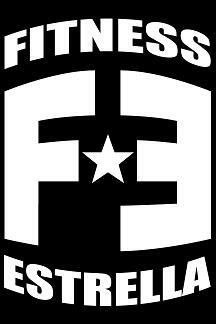 This is the first CF Open WOD 12.1 (posted on 2/23) this year to qualify for the Games. Wow...I just looked at the cf leaderboard...I am in the dust...! Lisa A. 60 rx'd.. I know only 7 min. But after yesterdays wo my arms and legs just felt like lead! had to jump twice a couple of times because I didn't quite make it on first jump. nice hard WOD before work! 78 rx'd pretty crappy compared to everyone else on the leaderboard. Awesome group workout today! Thanks everyone! Looking up to hit the mark each time was the hardest part. It was making me dizzy on my last set of 20 because I was so tired by then! *Side note*- I've only got 9,250 people to beat to make it to the games for this wod... I guess I have my work cut out for me. This was fun to do with the group and see where we compare to world of CF leaders. I did better than I thought I would, so that is all that matters! I just did todays WOD, you all did wonderfull! Tough WO,now we all know how to jump after our Burpees, like where surpose to RIGHT!!! Well I did this with my son, he did well! I paused to many times.